a few weeks ago and fell in love with it. She also nominated me for an award ! So it only felt right to feature her as my first nail feature. 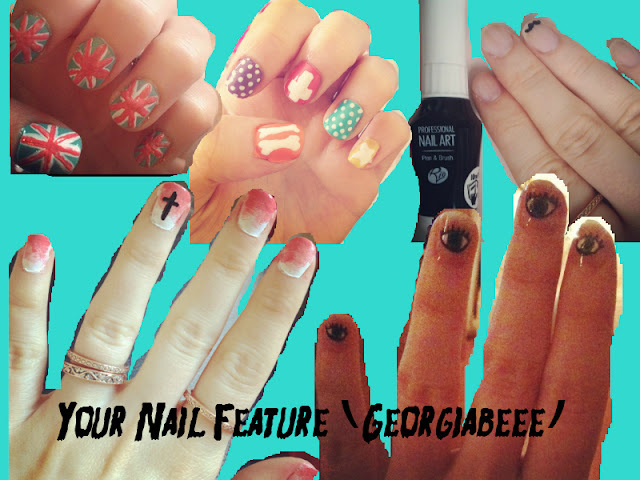 Here are Georgiabeees's nail art that she loves and done herself. feature comment under the post or email me.